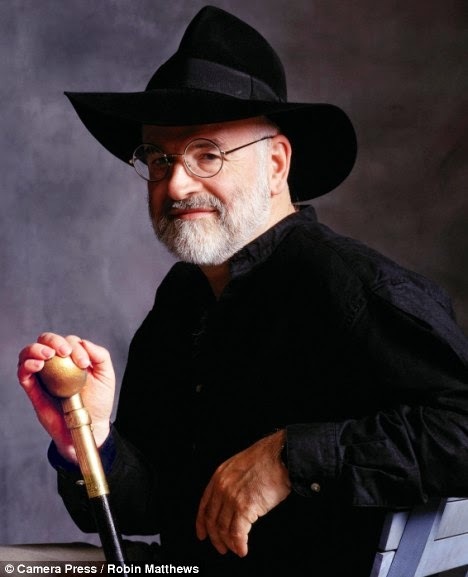 One of favorite authors Sir Terry Pratchett has just died aged 66. 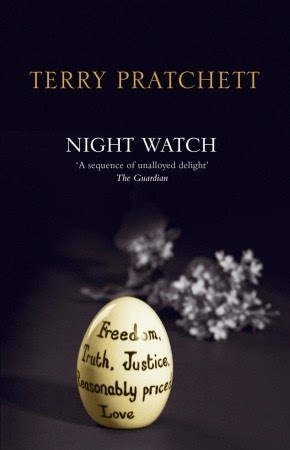 Since 2007 he has been suffering from Alzheimer's but has continued to write his wonderful and amazing Discworld books. 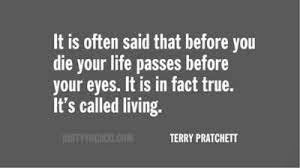 For those who have not yet read any of his books I strongly suggest you celebrate his life by reading one. 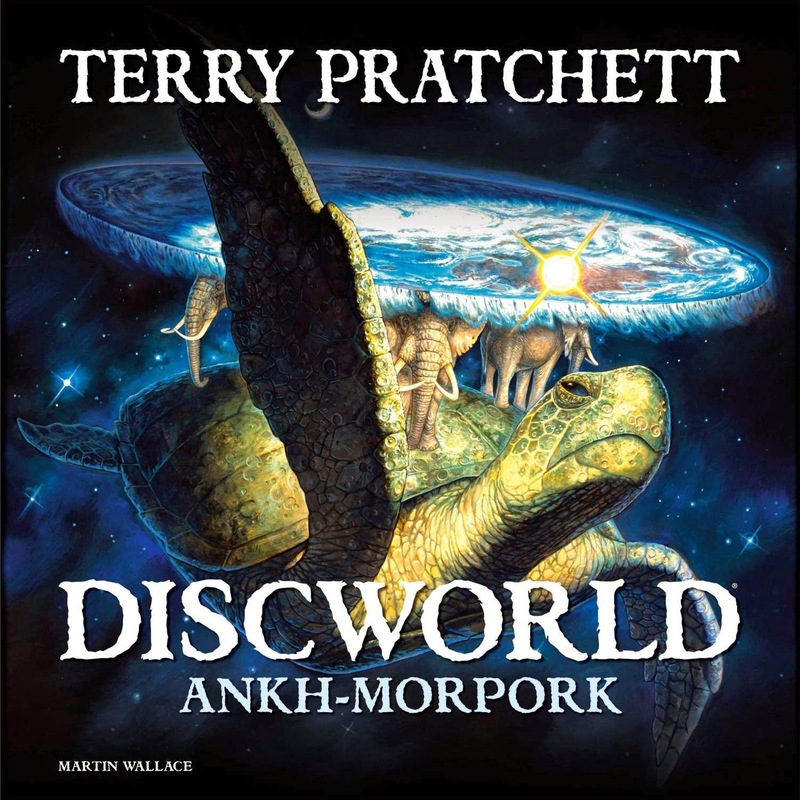 What is discworld? It is a flat world balanced on the backs of four elephants which are in turn standing on the back of a giant turtle, the Great A'Tuin. 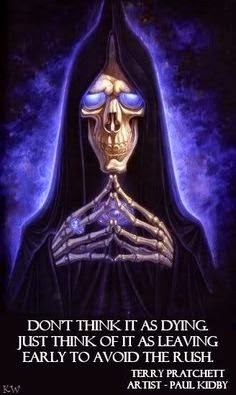 In his Discworld books he introduced Death as one of the recurring characters in many of the 40 books. He sold over 85 million copies of his books in 37 different languages. His humor at times was dark and perhaps he drew on his experience as Press Officer for the Central Electricity Generating Board (CEGB) in an area which covered three nuclear power stations. He later joked that he had demonstrated "impeccable timing" by making this career change from a journalist to a press officer so soon after the Three Mile Island nuclear accident in Pennsylvania, U.S., and said he would "write a book about my experiences, if I thought anyone would believe it. As i reflect on my political activities in the 1980s he would have been press officer of the CEGB when i organized an occupation of their HQ over the issue of Acid Rain. If only I had at the time known who I was up against I might have had a better understanding on how they managed to co-opt our occupation. It became a cakes and tea event were they looked after us very well. Not what you want as a media output from taking such action. Their press release talked about "inviting us in to better understand what they were doing to address the issue of Acid Rain". The revolution has an amazing slogan of "Truth! Freedom! Justice! And a hard-boiled egg!” how could the revolution fail. I hope that his death will help expand the research into Alzheimer's something he has shared with many other people including President Reagan and most recently Glen Campbell. Glens song on Alzheimer 'I'm not gonna miss you when I'm gone' released last year and which entered the country chart at number 12 the highest he has had for decades was nominated for the best original song in the 87th Academy Awards.